Metal carpentry works – P.M.P. STEEL S.R.L. P.M.P. STEEL S.R.L. has been at the service of its clients for custom design metal carpentry works for over 60 years. P.M.P. STEEL S.R.L. was created in Chiuduno, in the Bergamo area, by the work of the Plebani family. First, as an individual company specialized in the construction of prefabricated items, then as an S.N.C (general partnership) in 1985, and finally as an S.R.L. since 2003, the company is now recognized as a serious and trustworthy technical partner for any metal carpentry works to the most varied industrial contexts. The headquarters covers a surface of over 4,500 m2 dedicated to production, machining, offices and logistics, in addition to an external area dedicated to loading and unloading of goods, and specific warehouse area. P.M.P. STEEL S.R.L. performs medium-light metal carpentry works for the production of any type of item in stainless steel and iron. Thanks to its consolidated experience and constant technological development, the company partners with its clients for both standard and special production. From design to finished product, large quantities or small jobs, standard or customized: all our metal carpentry works are performed in a precise and qualified way, responding to the different production needs of our clients. Those who need a serious and trustworthy partner in medium-light metal carpentry can feel confident calling P.M.P. STEEL S.R.L. 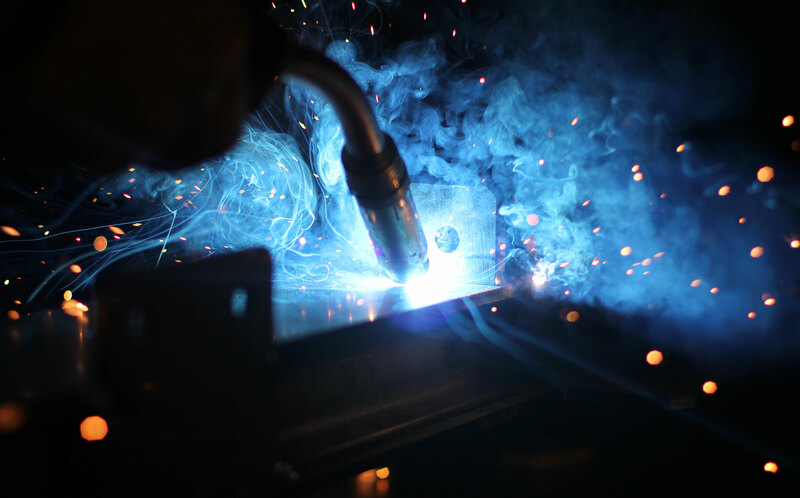 Thanks to its laser and water-jet cutting, and bending, punching and shearing of metals, it produces items of optimum manufacture and fine precision. Responding to client needs, as well as understanding and interpreting them in the best way possible represent indispensable characteristics for a historic company like P.M.P. STEEL S.R.L., which looks towards the future with dedication and perseverance.